The Body Rescue Maintenance Plan Book. 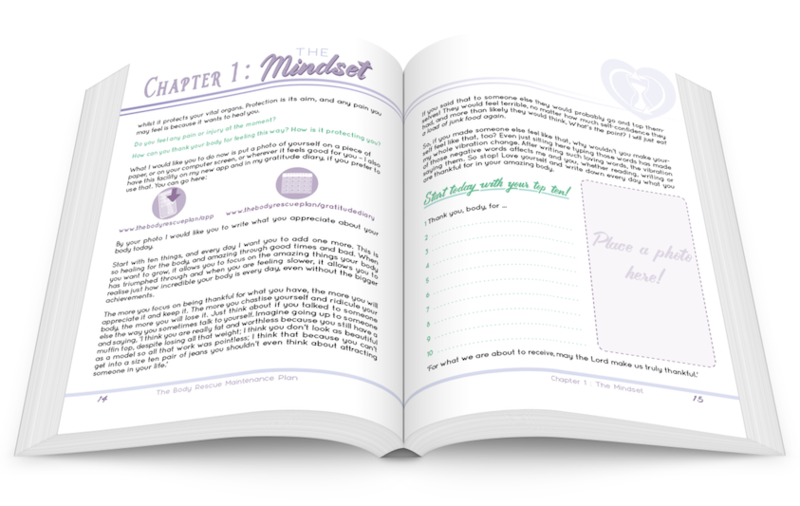 Welcome to book- The Body Rescue maintenance plan! Ready for pre-orders, the book will be sent to you around end of May. 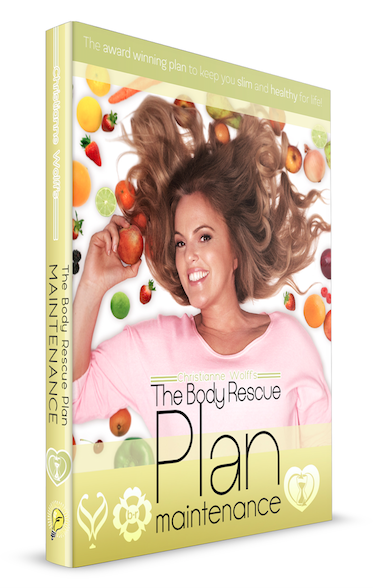 The Body Rescue Maintenance Plan is a plan for life. Following your initial twelve-week journey you can now follow this really simple plan to keep you feeling amazing, finely tuned and evolving for the rest of your life. We still follow the same principles as in The Body Rescue Plan, with the nutrition, the exercise and the mindset as below. In this book I teach you..
and How you can maintain your weight for life in a controlled yet free way. I also have some delicious recipes with monthly eating plans to suit everyone. 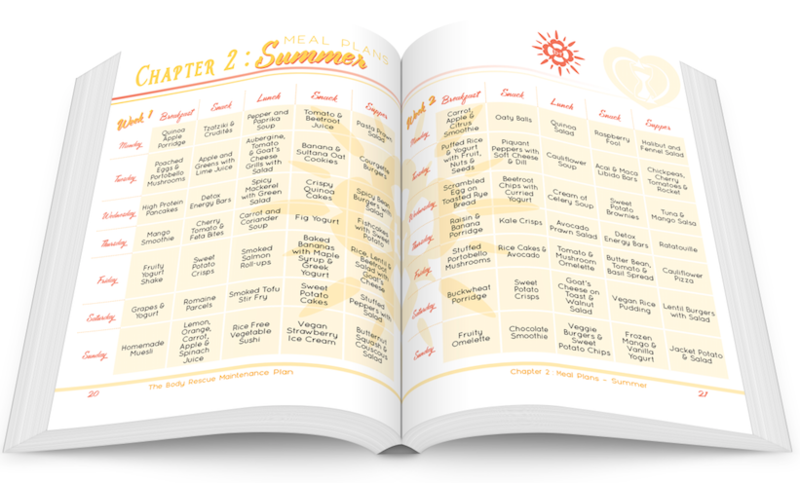 There are vegetarian, gluten free, summer and winter plans, recipes, and shopping lists, too. Your mind now will be far stronger and more in tune with your body and you will just need a maintenance mindset plan to follow – some simple exercises to keep you relaxed and calm, happy and grounded. We also develop gratitude a little further, as gratitude is very powerful. I have also developed some new, exciting exercises for you in The Body Rescue Maintenance Plan. They’re still structured as they were in The Body Rescue Plan, with interval training, resistance training, cardio, abs and yoga, as I feel all these exercises give you the most rounded training performance and the most toned physique in a relatively short period of time. The exercises are also really easy to do and they still require no equipment, while also fitting them into your life is simple, you can do them anywhere, there’s very little space needed and exercise doesn’t take up your entire day. 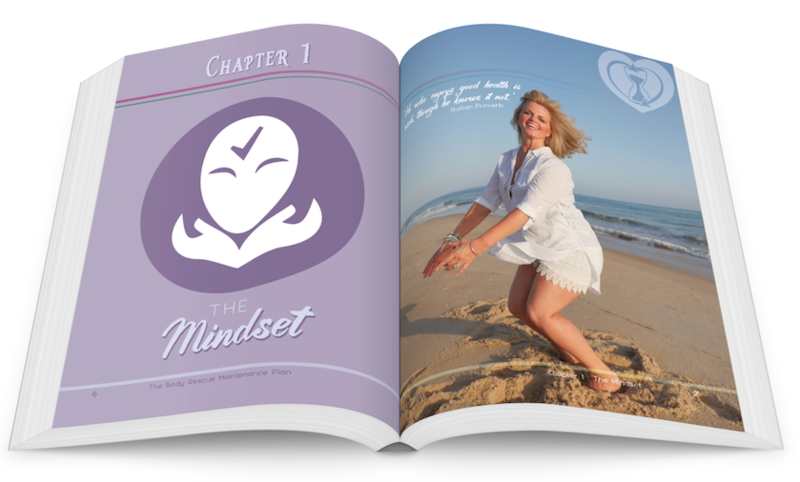 This book is yours for life – a life plan of happiness with nutrition to feed your body, exercise to tone your muscles, and mindset to nurture your soul. Order now!